It was a hoax from the very beginning. The was never any collusion between Donald Trump and the Russians. But, there was a whole lot between the Russians and Hillary, the Obama regime and millions of dollars ended up in their pockets. 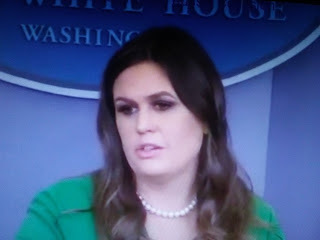 CNS News reports the White House on Friday said the media has spent a great deal of money reporting on the Russian collusion investigation, which the White House considers “a pretty big waste,” especially when if there was any collusion with Russia, it was with the Democratic National Committee and Clinton campaign - not the Trump campaign.